From M4, leave at Junction 15, head towards Dorcan on the A419. after 2.36 miles,take the slip road,at the roundabout take 2nd exit. Next roundabout 1st exit A4312, next major roundabout (Greenbridge) bear left and we are on the left hand side. -------- From Oxford A420 At Stratton St Margaret roundabout (junction with the A419), 3rd exit, A4312, next major roundabout (Greenbridge) bear left and we are on the left hand side. Buying a new or used car can be a confusing experience. This is why at the Motorparks Swindon Motor Park dealership, we aim to make the process as hassle-free as possible. 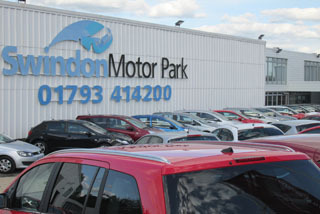 Motorparks is one of the largest car dealer networks in the UK. As such, we have the experience and knowledge to help you drive away from any of our car dealerships with a top-quality bargain car today! The stock at our Swindon Motor Park dealership is incredibly diverse. Don't forget that we have some excellent deals among our used Citroën and used SEAT collections too, while exceptional servicing is also available at our Swindon car dealership. Browse the stock at our Motorparks Car Dealers in Swindon online, or alternatively why not visit the car dealership? We are located on Dorcan Way, close to the M4 and easy to reach if you exit Junction 15 onto the A419.